Microsoft SharePoint is the most advanced and powerful platform that globally used today by different leading organizations to streamline their information and increase productivity and efficiently. However, without appropriate and professional support and guidance, it would be quite challenging for organizations to navigate the process of transitioning to SharePoint and adapt it for organization’s specific requirements and maintain the system. We at Creative Web Designer provide end-to-end SharePoint consulting services for SharePoint integration, implementation, custom development and migration. We have years of rich experience and expertise in providing complete range of Microsoft SharePoint consulting services to assist our clients to leverage their investments. Creative Web Designer is equipped with highly qualified and talented team of SharePoint consultants and they are well-versed with industry best practices to help you meet the unique business needs. We are aware with both the “soft” and “hard” side of SharePoint consulting and hence help you to meet your SharePoint needs in best way possible. 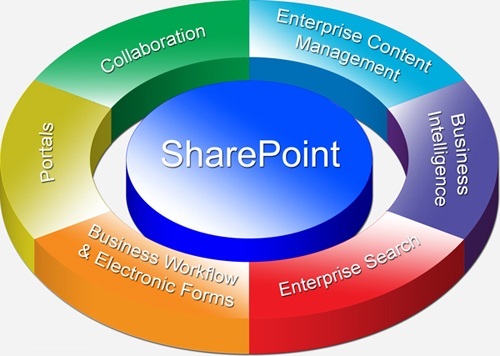 We not only have the technical know-how required to meet the unique SharePoint needs of clients, but also better understand the business related requirements that allow us to position our clients to efficiently utilize SharePoint for businesses. We work with companies of all sizes as a trusted advisor and SharePoint consultants and help them leverage their power of SharePoint. We perfectly understand that every situation and client’s need is unique and thereby customize our SharePoint consulting services accordingly to meet the unique needs of your business. We believe in working collaboratively with clients rather than providing packaged services and this allows us to deliver individually tailored consulting services to meet the exact SharePoint needs.